We have a plan for beekeeping which us in the planning stages. We are looking for more lands for bee grazing. In July this year, David Mules (DOC Programme Manager Community Relations) emailed us as manawhenua to apply to DOC for a concession to operate our own beehives on DOC lands. They suggested that we use a respected apiarist to assist us in a beehive operation. Robert has had some discussions on hooking Te Rawhiti into the supply chain market so that we can get our products to market. To really make it work we need to get into some niche based marketing and be properly organised and structured. We have commercial bee growers all over Te Rawhiti so we need to be getting a fee for their being on our lands – not just 5 pots of low grade honey every season – until we are ready to replace them with our own beehives. We need a hui to show people what is involved and how to get it done. In fact we really should have another economic hui to discuss the work available and some key drivers are needed to pick up all the work. At Panguru, Uncle Moka says, that they have 3 months within a season when the manuka is full bloom $300,00.The caring and the looking after of the beehives are the owners responsibility. In the winter time they uplift the beehives and return them November for the 3 months. He says,”Its a good whakaaro”. 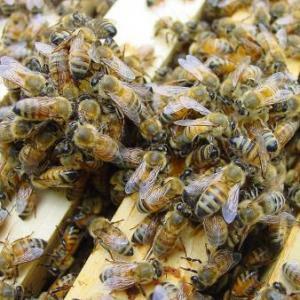 There’s a beekeeping club in Whangarei and another in Kaitaia who we could talk to for more information in the future. Recent articles have talked about how NZ is short of beekeepers. This sounds like a perfect opportunity to start beekeeping. If you have any information or suggestions to help with this, please feel free to leave a comment on this article.